Professor Aleksey Eliseev, Chief Research Associate at Kazan University's Near Space Research Lab, comments, "To find solutions for some tasks in climate research, we need calculations for hundreds, thousands, or even millions of years. Such tasks are, for example, ice age periodization. Another group of tasks that requires huge longitudinal calculations is climate forecasting, a type of research where we don't have definitive information about coefficients of used models. "If we use models of the general circulation of atmosphere, then required calculations can take up months or years with the use of the most advanced modern computers. To accelerate research, scientists use simplified models – the so-called climate models of intermediate complexity. In Russia, the only such model has been created by the Institute of Atmospheric Physics. 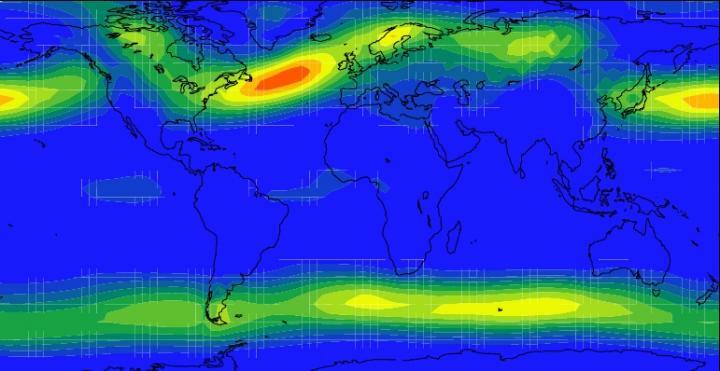 "Our team, comprising employees of Potsdam Institute for Climate Impact Research, Moscow State University, Kazan Federal University, and the Institute of Atmospheric Physics, is working on one such model. We called it the Potsdam Earth System Model."